This tent is usually used as a Soda sand Blasting Tents and car spray tent. 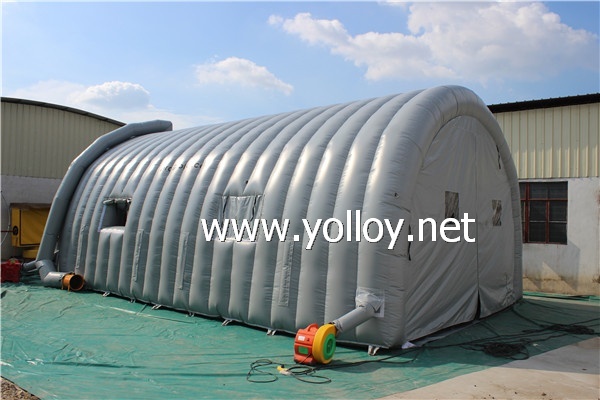 There is a air tube on the top of tent,you can trim some orifice on it.If you want used it as a auto repair tent,you can contect a air-conditioning with it.The cold air flow in the pipe ，through the orifices,then spreading over the tent. If you used it as a sada sand blasting and car spary,you can connect it with our double-service blower. (One side for inhale and other side for blowing. )When you work inside the tent,the fumes will extract out by the pipe. If need more information for the product, please feel free to contact us.Customized can be acceptable.Any special requirement，welcome here.